EA’s press conference at Gamescom 2013 was a thrilling one as they revealed tons of content for their latest upcoming games such as Need For Speed Rivals, Plants vs. Zombies Garden Warfare, FIFA 14, EA SPORTS UFC, Command & Conquer and The Sims 4. However what we’re really interested in is Battlefield 4. You can find the recap here. There has been a lot of hype up to this point for Dice’s next-gen multiplayer FPS and fans were frenetically waiting to see what Dice was going to showcase at Gamescom. Well, they did not disappoint. Along with announcing their exclusive Beta date, October 13th, they also unveiled four new, never-before-seen trailers that promise to bring the best multiplayer experience the world has ever seen. Note that everything seen in these trailers are confirmed to be in-game. The first trailer titled “Paracel Storm” captures the entire Battlefield experience in a nutshell but also adds several new twists. The map shown is in fact the same island seen in the Frostbite 3 trailer. The first thing you might notice here is the emphasis of naval combat Dice has placed on this map. There are tons of attack boats, jet-skis, and various naval craft taking to the waters and wreaking havoc. You also witness the dramatic weather effects that alter the pace of the game as it wears on, from bright and sunny to dark and stormy. Probably the most interesting part is at 0:30 where a player’s HUD shows the message, “Bomb Was Dropped” followed quickly by “We Have The Bomb”. 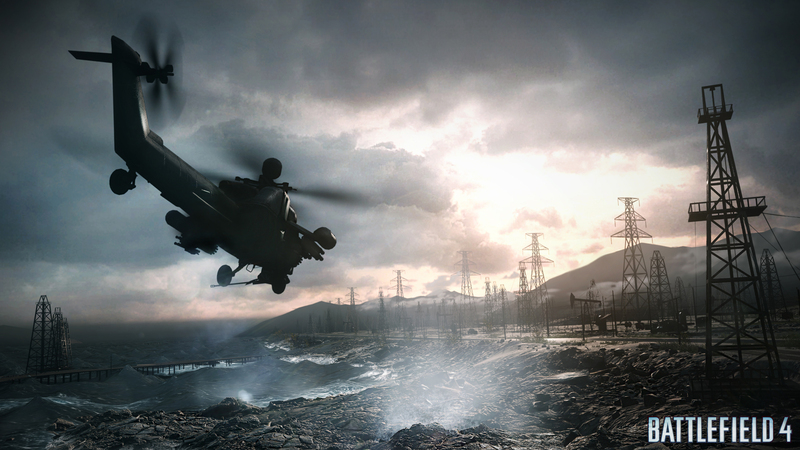 This is the latest game mode in Battlefield 4, known as Obliteration. It is very similar to Demolition in CoD where two teams compete to grab a randomly spawned bomb and set it off at a target location to destroy it. While it is nothing relatively new or ground-breaking, the frenzied nature of combat that usually follows this game type and given that this is Battlefield 4 with its infantry, vehicles and whatnot, it will make for very intense, high-octane matches. The next trailer, “Premium” posted by Alexander Pihl, revealed information such as early content access for Battlefield Premium members where they’ll get firsthand new game modes, weapons, vehicles and the five expansion packs. Dice also brings back four fan-favorite maps from BF3, known as Operation Firestorm, Metro, Gulf Of Oman and Caspian Border.